For the first time in the southern U.S., more than 100 exquisite Zimbabwean modern sculptures are artfully displayed throughout the Dallas Arboretum gardens from April 15 to July 31. Known as Shona sculpture, these contemporary pieces are carved from various types of serpentine and semi-precious stone, often weighing tons, and can be as large as seven feet tall. This sculpture is the most collected form of African art that can be found at the Museum of Modern Art in New York, the Rodin Museum and in the homes of the Prince of Wales, the Rockefellers, Morgan Freeman, Danny Glover and the late Michael Jackson. 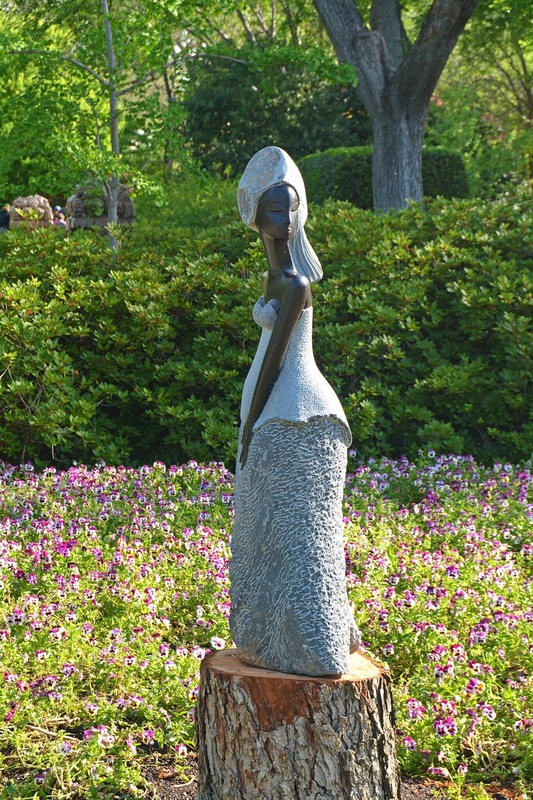 Visitors may purchase any of the sculptures on display in the garden, as well as the ones created by the on-site artists and those in The Marketplace, located in Dallas Arboretum’s Pecan Grove. The Marketplace will be open to guests seven days a week and on Wednesday evenings, selling hand-held to medium size sculpture. Commissioned pieces can be ordered and made on site by the artists. Aron Kapembeza: Aron is one of Zimbabwe’s most successful and most represented artists; he is also a self-taught sculptor, specializing in Springstone and stone inlay. He maintains his studio and gallery in New Tafara, Harare. At a young age, he discovered that he could see the finished sculptures hidden in Springstone, and from that moment, a transformation began. His passion for the human form has made him develop his own expressive style – for example, taking womanhood from tender ages to motherhood. 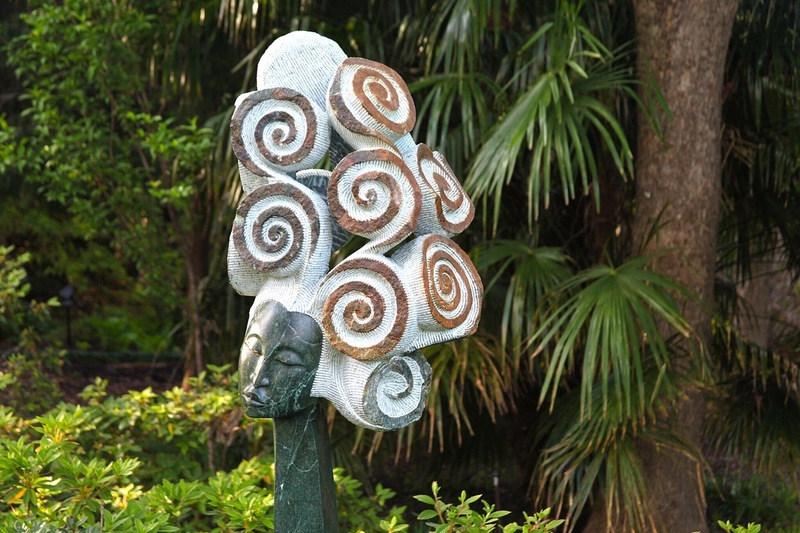 This can be seen in a wide range of gorgeous sculptures ranging from stylized to representational in the Marketplace and throughout the gardens. Passmore Mupindiko: Passmore started carving at a young age; his favorite medium was wood. After a life-changing visit to a famous art community called Tengenenge in Zimbabwe, he was convinced by the proprietor Tom Blomfield, to start sculpting in stone. He now creates all his work in stone, focusing on leaf bowls (used for attracting birds), slender guinea fowl, shells, and leaf heads. His work has been exhibited all over the world, including countries such as France, Holland, South Africa, Germany and Denmark. ← Get Ready for Addison Kaboom Town!